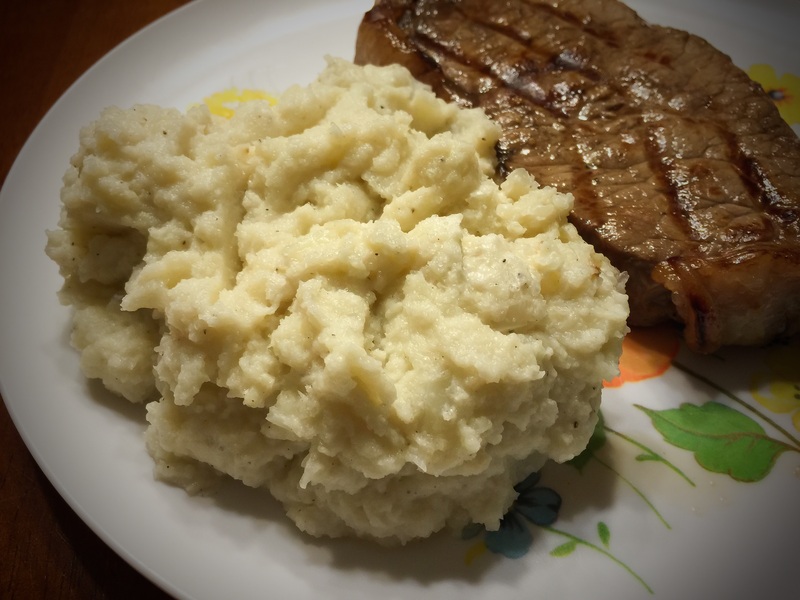 As a former carb-o-holic I’m always searching for something to replace pasta. 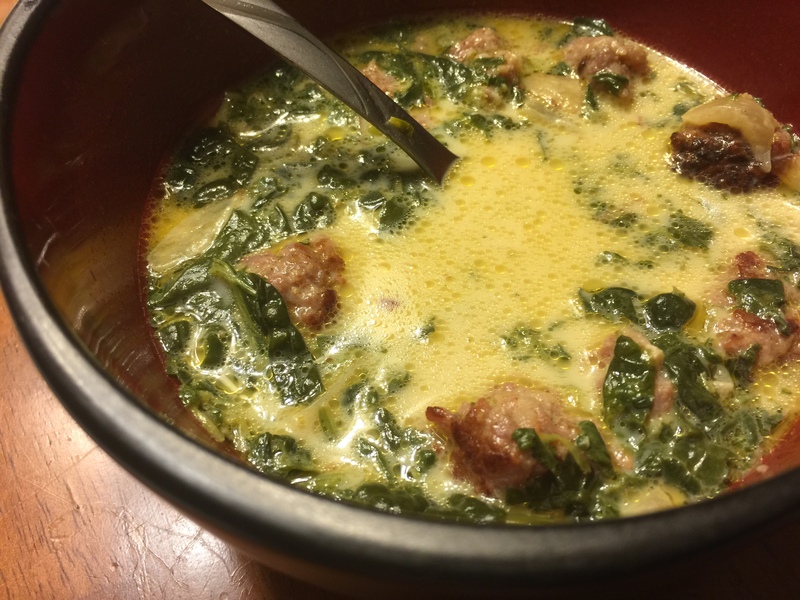 Pasta was one of those comfort foods that I went to as a standard for a quick easy meal. Nowadays pasta is off the menu but I still crave that meal that I loved for so many years growing up! I’ve tried Zoodles and they were great but zucchini noodles can be hard to get right sometimes. 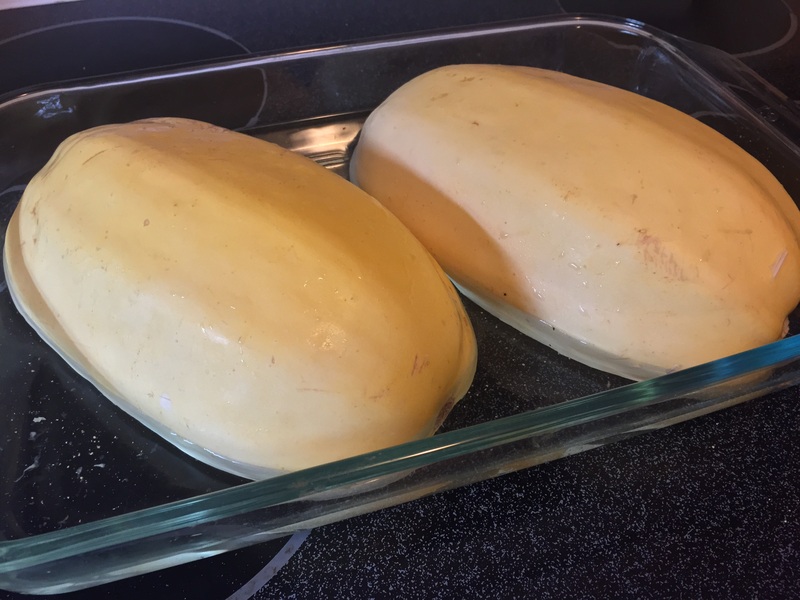 I’ve been meaning to try spaghetti squash for some time now but I could never find it in my local grocery store…until now! 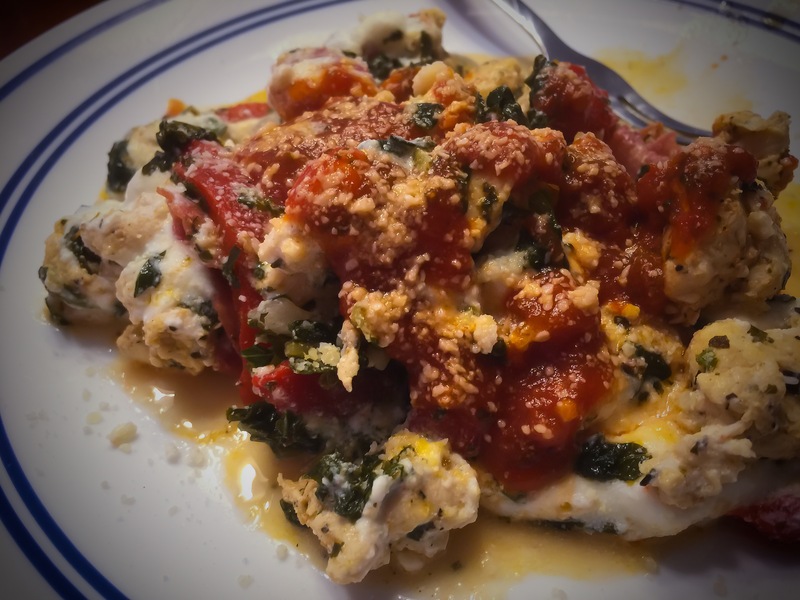 Baked spaghetti squash has a slightly nutty flavor to it that is subtle. 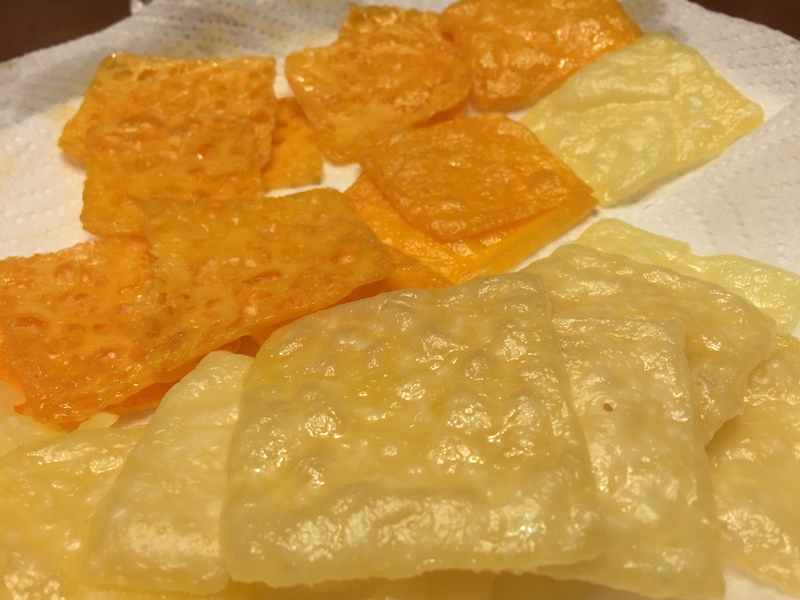 It also has a nice firm but not too crunch texture that is pleasing to eat. Preheat your oven to 400 to degrees. Always make sure you wash your squash. (Hey, that rhymes!) Can’t be too careful as you don’t know who handled it before you! 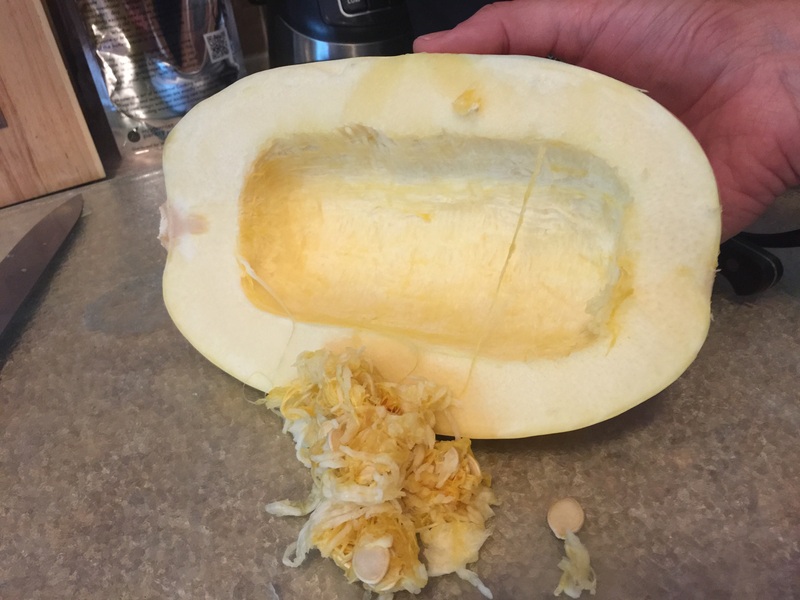 Cut it lengthwise down the middle and scrape all of the seeds from inside of your victim. 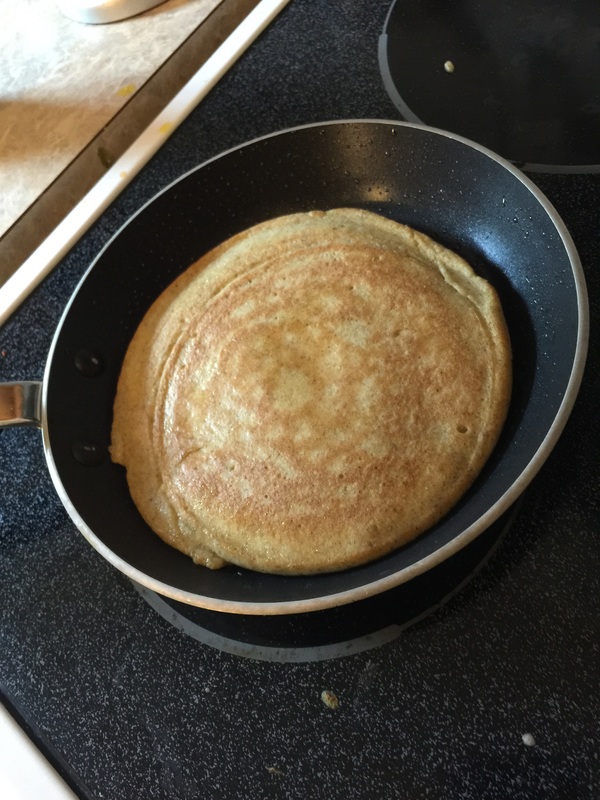 Take the two halves and place them in your 13″ x 9″ baking pan cut side down. 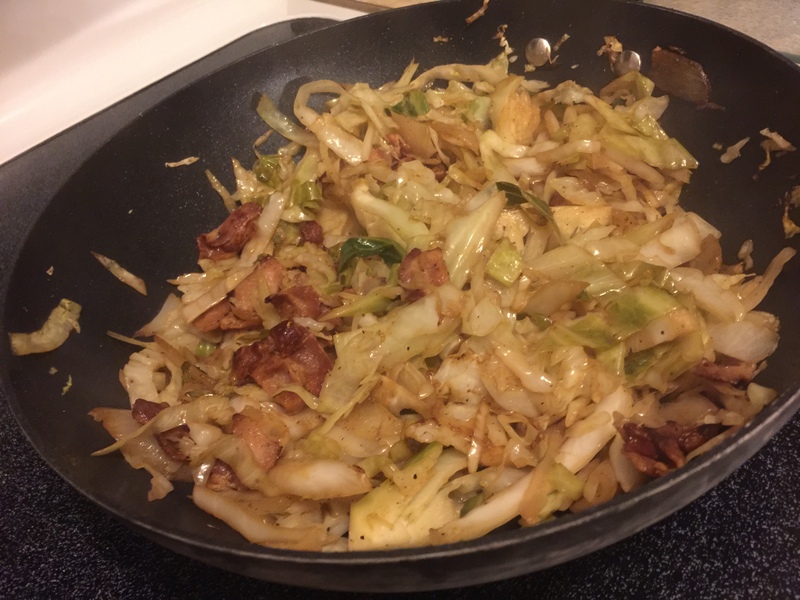 Add about one inch of water to the pan. I attempted to salt and pepper the squash prior to baking it but that ended up being a futile effort. Yeah I know. Water. Duh. 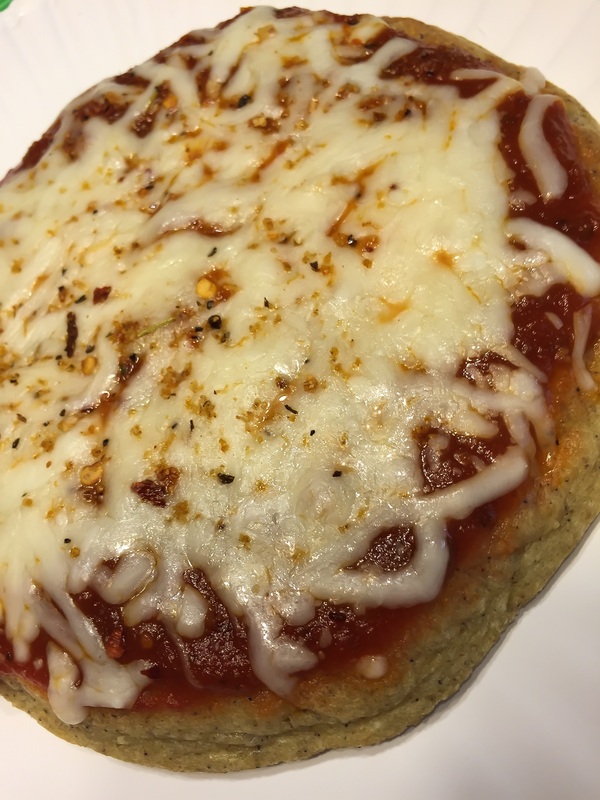 Is your oven heated yet? If it is pop those bad boys in there for roughly 45 minutes. You should be able to very easily pierce the skin on the squash when they’re done. Once they’re done the fun begins! With an oven mitt and a sturdy utensil (Kitchen tongs work well!) flip the squash halves over. 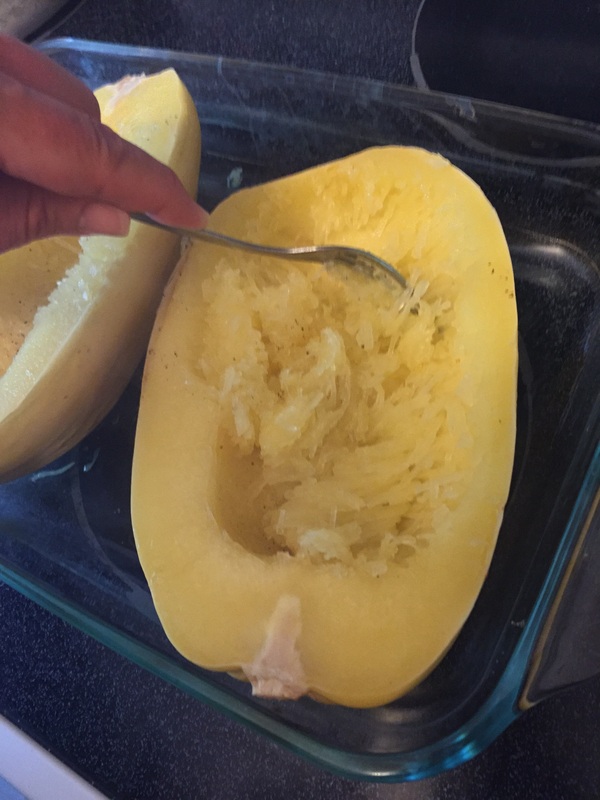 With a fork begin to scrape the meat of the squash in long motions from inside the skin. You should be able to get almost all the material from the skin. And that’s it! 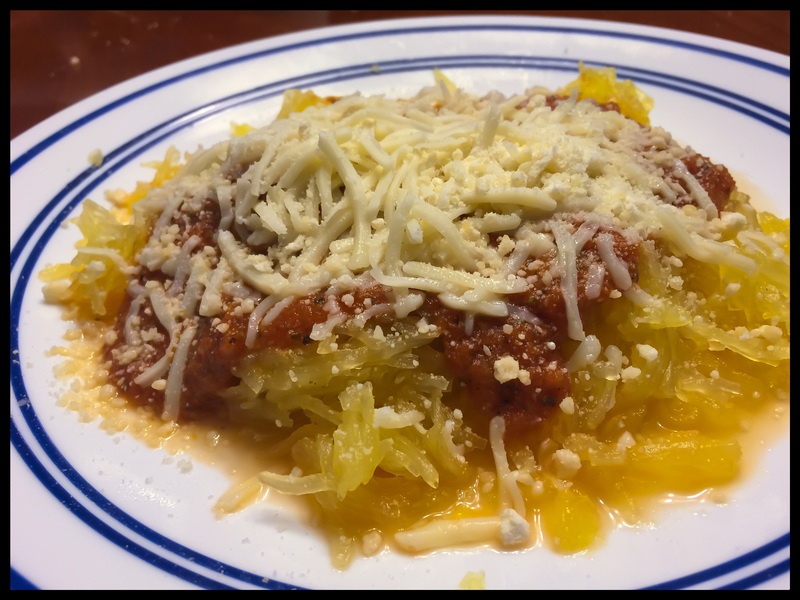 Baking spaghetti squash is simple enough to do and it tastes amazing! 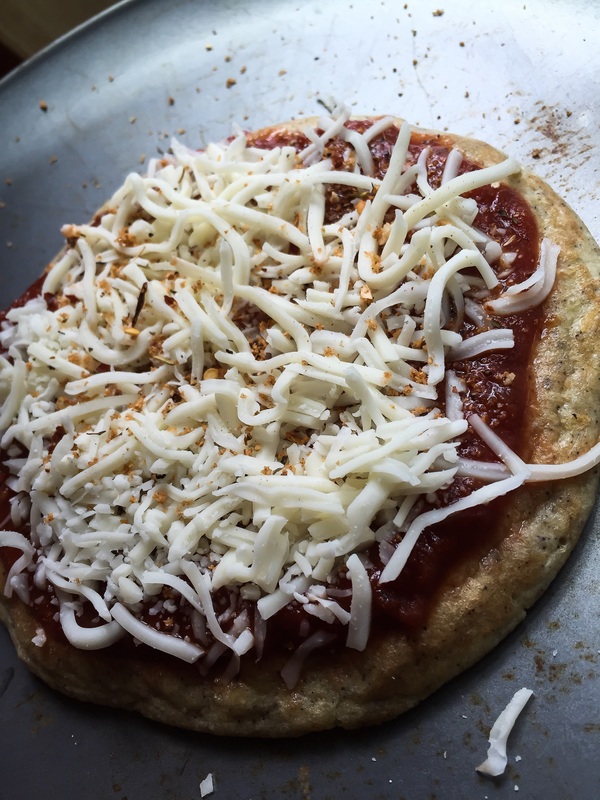 We topped ours with our Garlic Basil Marinara Sauce, grated parmesan, salt and pepper and one serving of shredded mozzarella cheese. Get creative and enjoy!